Get your HOME BACK and make some space! Property prices in London are expensive & keep increasing! The cost of every square metre used becomes crucial. Make your home attractive to perspective buyers! Changing your home including the layout, the furniture and its contents can be beneficial when selling or just for a very welcome change. Our De-clutter teams can help & advise when you’re de-cluttering by moving your furniture into different rooms to get it just right for you. We help you to present your home to its full potential by repositioning your furniture to meet your individual requirements. When the time comes to sell and move, your home will be more appealing to perspective buyers. 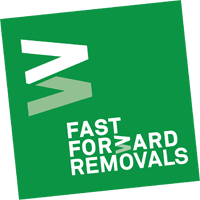 Our teams will take away any unwanted furniture to either: legally dispose of them at a licensed disposal centre, or deliver them to a recycling organisation, or any other destination of your choice. Enjoy your new-found space, feel comfortable with your fresh layout and enjoy showing your visitors around your reorganised home. When you see the space you have created, you will be able to imagine even more possibilities. Please note: If you’re Moving Home these services can be included within your removal quotation. Our moving team can help you plan and assist with the disposal, recycling or donation of your unwanted items. For example, identifying these items and removing them before moving day can reduce stress, give more space for packing & preparation, and save valuable space on the removal vehicle. Please remember before you throw anything away, there are charities & organisations that welcome & can re-use home Furniture. De-Cluttering made our house look more spacious & desirable "We are so glad we used you, you cleared out our many years worth of stuff & clutter & then we found that it had made our house more spacious & much more attractive to buyers, & we could increase the selling price!"